The location is unbeatable - right ON the VCU Campus! 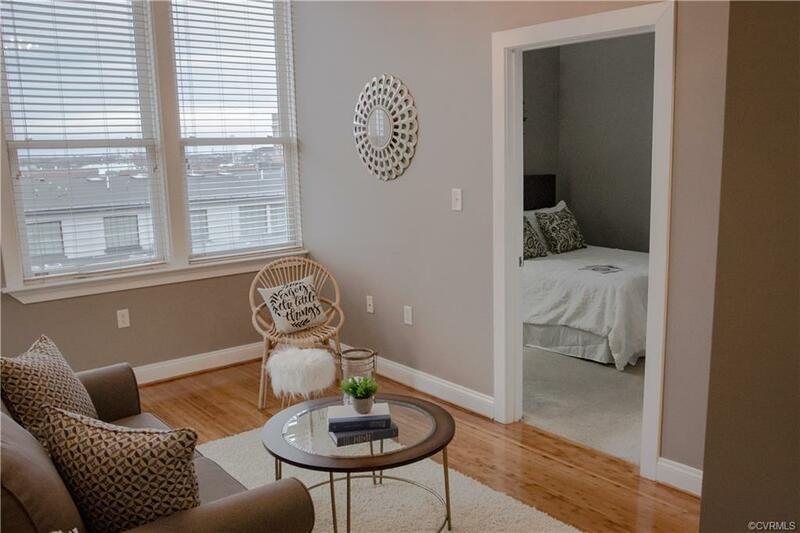 This one bedroom, one bath unit is perfect for a VCU Professor, Student or Staff Member. It is also a great Investment Opportunity! 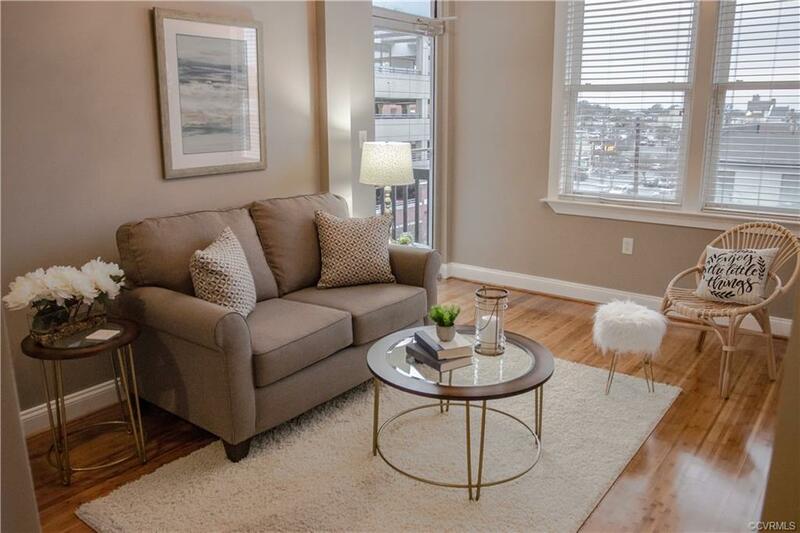 This fourth floor unit features 10+ foot ceilings, a living room with refinished hardwood floors and a door leading out to a private balcony, a galley kitchen with double sinks, stainless appliances & granite counters. Refrigerator, stacked washer/dryer convey. New carpet going in the master bedroom on 4/10/19. 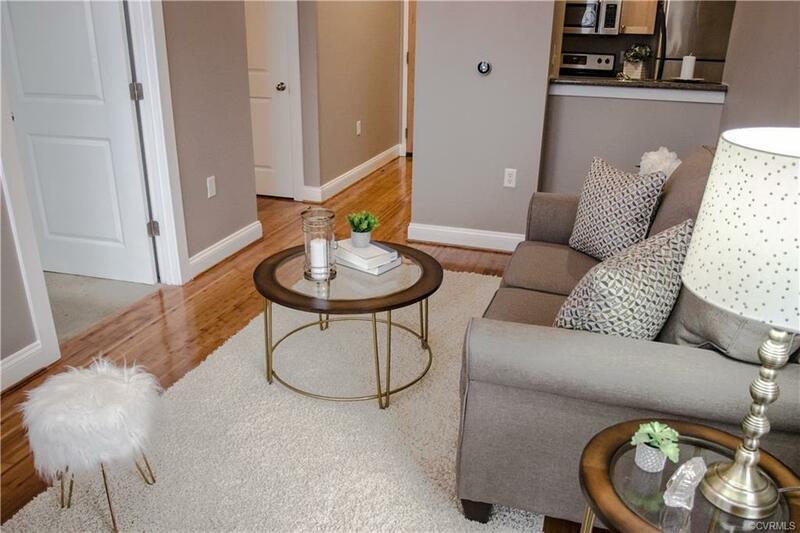 The condo is one block west of Harrison and Broad, the epicenter of the VCU campus - next door to the Siegel Center and the state-of-the-art basketball training facility. Eagle Mill Towers is also only a block away from Kroger and Starbucks, and 2-3 blocks from Qdoba, Five Guys, Subway, Coldstone Creamery, etc. Everything you could need is within easy walking or biking distance. 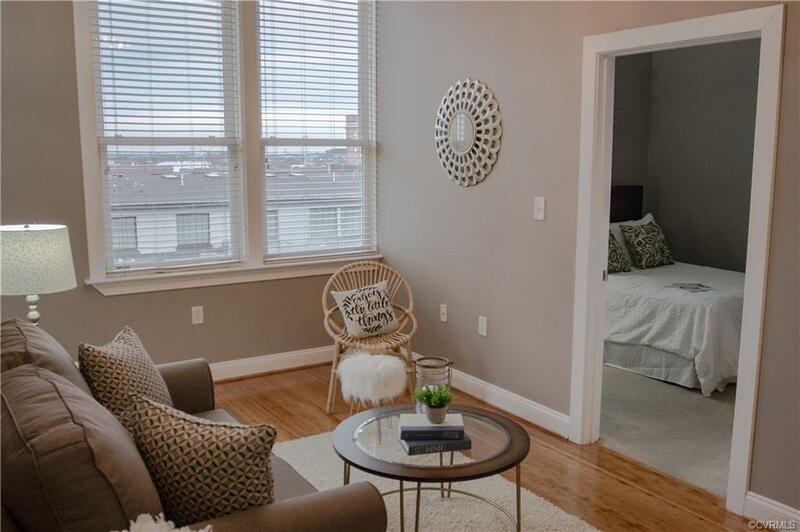 This condo is closer to campus than some of its dorms. There is a private secured parking space available for a monthly fee so no driving around the block trying to find one should you want this option. HOA fee covers everything except electricity (gas, water, sewer, basic cable and internet INCLUDED).